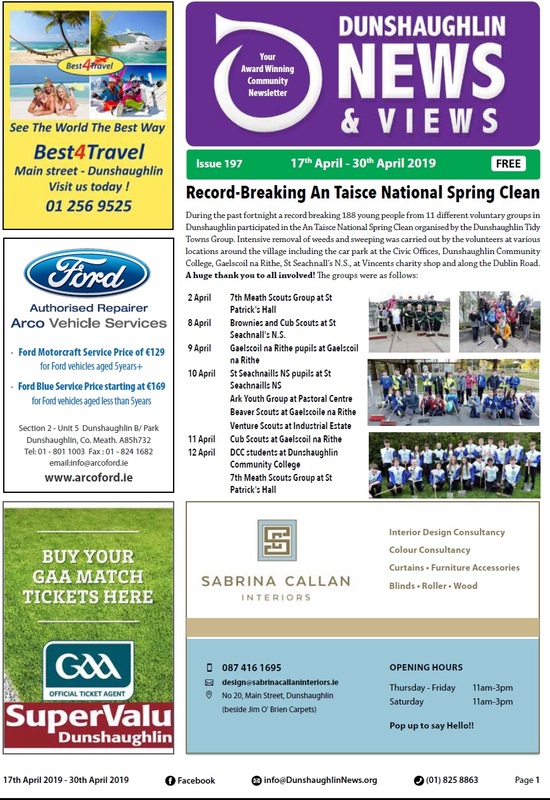 Dunshaughlin News & Views is a fortnightly, community, not-for-profit newsletter run by volunteers. Advertise with us from €2 for a classified or from €30 for an advert. 2000 copies distributed fortnightly in the Dunshaughlin, Culmullen and Rathbeggan areas. Copyright © 2019 Dunshaughlin News and Views. All Rights Reserved.